Motorola pushed out an update to its Touchless Control app through Google Play this afternoon, making it more powerful while your phone is in a locked state with a PIN or password. 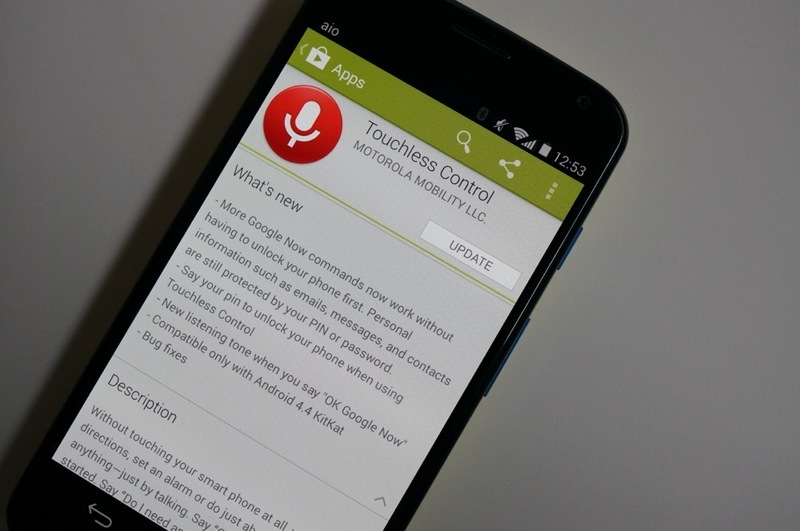 Additional Google Now commands should now work with your phone sitting idle and locked. Motorola is also giving you the ability to speak your PIN through Touchless Control and introduced a new tone when you say “OK Google Now.” It does appear to say that this new update is only available to devices running Android 4.4 “Kit Kat,” so the new DROID family is out of luck until Motorola and Verizon can push that out. More Google Now commands now work without having to unlock your phone first. Personal information such as emails, messages, and contacts are still protected by your PIN or password.